A new memorial is opening to the public near the National Mall to honor disabled veterans dating back to the American Revolution. 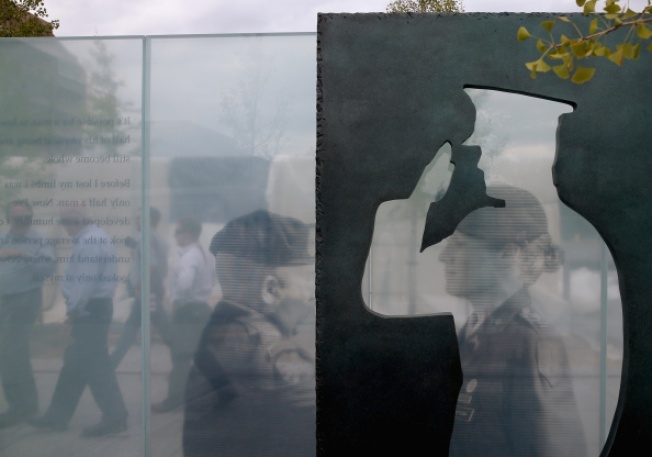 The American Veterans Disabled Veterans for Life Memorial opens to the public Monday. It was dedicated Sunday, involving veterans and dignitaries. Organizers say this is the first memorial in Washington dedicated to veterans who come home with life-changing injuries. It includes images and stories of veterans injured in Iraq and Afghanistan. The new memorial includes a ceremonial flame, reflecting pool, glass walls and images, bronze sculptures and a grove of trees. The designer says it was inspired by the camaraderie of a soldiers' campfire. A Wall of Gratitude is carved with inscriptions from George Washington and Dwight D. Eisenhower. The new memorial is located near Capitol Hill.